1. Add all ingredients into pestle mortar, mesh until well combined. Add seasonings to taste. 1. Prepare it table side if possible, fresh guacamole tastes the best. 1. If need to prepare ahead or store leftover, wrap it with plastic wrap touching the guacamole surface entirely ( avoid air contact that cause browning), store it in refrigerator. 2. 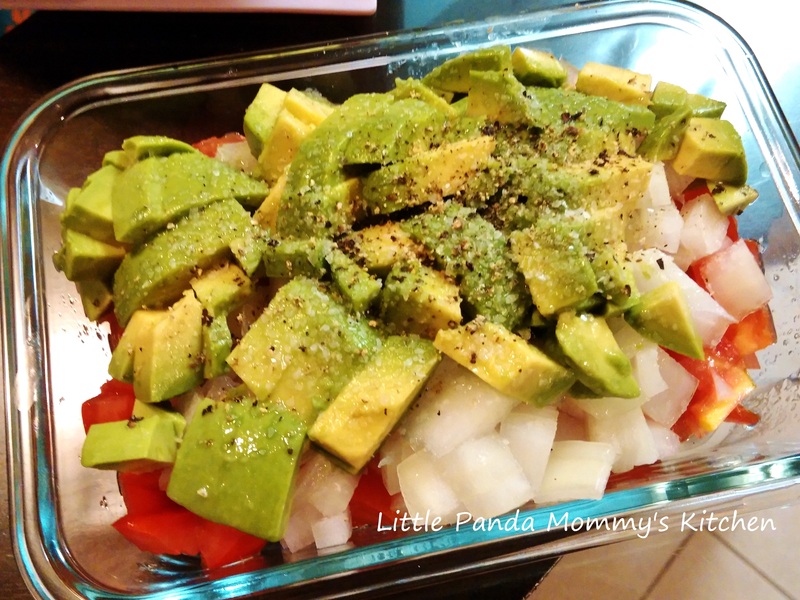 Put guacamole in a tall air tight container, smooth the surface and add just enough water to cover the surface (1/8 inch will do), store in refrigerator. Pour the water out or just stir it in with the guacamole before serving, it didn’t affect the taste. 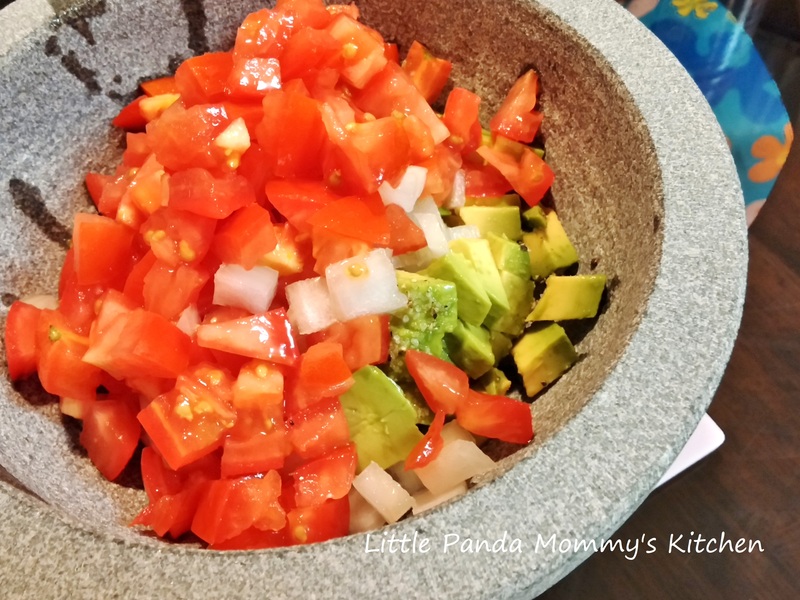 This entry was posted in Appetizer, Condiment Recipes 醬料配菜食譜, Easy Cooking, Healthy Eat, Mommy & Me Recipes, No Cook Recipes, Recipes and tagged appetizer, Condiment Recipes, Easy Cooking, Healthy Eat, Homemade Guacamole Recipe, Mommy & Me Recipes, No Cook Recipes, Recipes, Super ball snacks recipe. Bookmark the permalink.